Barking is a dog’s way of communicating. A dog normally barks when it needs something like food or water. Most dogs also bark when there is an intruder. However, some dogs have that annoying habit of barking for no reason. Sometimes, it can get out of control, leaving you embarrassed or mad. Thankfully, you are not alone and hopeless. There are ways to prevent dogs from barking. One of them is through the use of muzzles. They come in different makes and designs. We have reviewed 10 best dog muzzles in the market which you could use as reference if you are planning to buy one. This lightweight muzzle has a basket design that allows for unrestricted eating, panting and drinking for your pet while halting biting and chewing objects. At the same time, it has a safety strap that will keep the muzzle securely in place despite your dog’s constant movement. This item is made of soft, durable and tough rubber. It has a 12 ½-inch circumference for the dog snout. However, some buyers complain about its rough edges which could irritate your pet. Another product that you can use to restrain your dog from barking and chewing, is this Quick Fit Dog Muzzle with Adjustable Straps. With different sizes available, this comfortable muzzle does not cost much. It is suitable for small and large dogs. 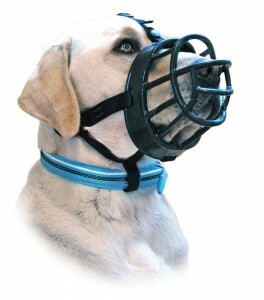 This muzzle is an excellent choice to restrain or control an aggressive dog. It can also be used by pet groomers. It has a fully adjustable strap which comes with a quick-release buckle. On a negative note, bigger dogs may find this muzzle easy to remove. Made of durable and flexible plastic with a comfortable strip, Basket Cage Dog Muzzle is one of the 10 best dog muzzles available. It has a top dimension of 2 7/8 inches and 4 ½ inches for its bottom. Its strap is easily adjustable with a quick-release buckle. 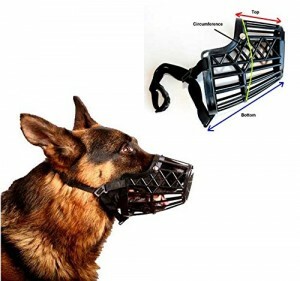 However, this muzzle is not collapsible and can take extra space in your luggage if you are traveling. Adjustable Dog Grooming Muzzle is available in different sizes from extra small to extra-large. It is made of mesh nylon and it comes with a quick clip release feature so you can easily put it on or remove. It can fit dog snouts with a circumference of 6 to 7½ inches. 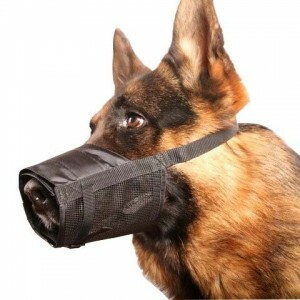 This muzzle is not designed for panting so it is not ideal to be used when taking your dog on a walk. Also, don’t use this for more than an hour. 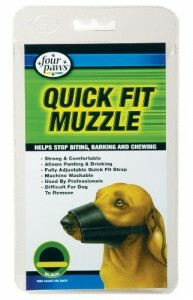 Another item that belongs to 10 best dog muzzles is this quick-fitting muzzle. If you are after a product that can help prevent your dog from barking, biting and chewing without hurting your pet, this item is for you. It is both tough and comfortable to wear. While your dog is wearing this, drinking and panting is still possible. It comes with adjustable buckles for custom fit. Matti Adjustable Quick Fit Nylon Mesh Muzzle is also a great way to prevent your dog from chewing your favorite shoes or barking at your neighbor. 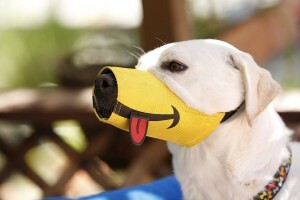 This muzzle keeps you in control of your pet’s unnecessary tantrum without causing discomfort to the animal. It is made of durable mesh nylon with Velcro straps that can be easily adjusted. Its snout girth is about 4 ½ to 6 inches and the strap can be adjusted from 6 ½ to 9 inches. Comfort, durability and safety are among the features that made this item to the 10 best dog muzzles. It received good reviews from previous buyers. It is effective in preventing dogs from making unnecessary noise. It also helps prevent chewing and biting. The material used for making this muzzle is primarily nylon that is lined with inner seams to give your dog comfort while wearing it. Its strap is fully adjustable with its quick release buckle. It also will not easily fall even if your dog is very active. Also, it is machine washable. 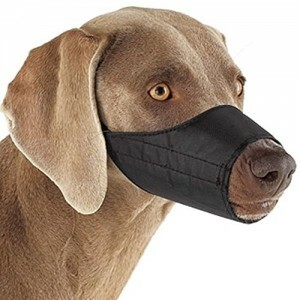 It may be a bit expensive compared to other products on this list, but Cesar Millan Funny Muzzle may be the most suitable product for your furry friend. It is made from tough and compact nylon fabric, lined with air mesh to promote comfort and breathability. It also comes with straps that can be easily adjusted for custom fit. However, since it will completely shut out the mouth of your pet, its use should only be temporary and for a short time. Your dog can have this non-toxic, comfortable and breathable mesh. It is made of soft and durable silicone foam and is available in three colors. It is a good product for preventing your dog from chewing on trash and other items while you are outdoors. Additionally, this muzzle is secure and will not easily fall off on its own. If you have several pets at home or you have a pet grooming business, this lot gives you good value for your money. You get 12 pieces of grooming muzzles that are suitable for cats and dogs. 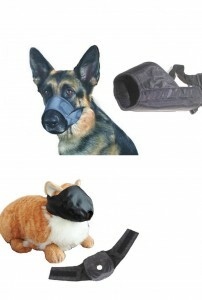 These muzzles are soft, comfortable, lightweight and not creepy looking. They also allow more room for breathing. However, it is not meant to be used for long hours. There are different ways to stop unnecessary barking and one of them is the use of muzzles. 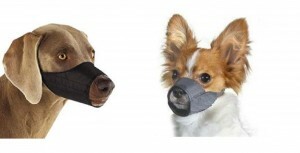 Aside from pet-owners, trainers and groomers alike also benefit from the use of muzzles. Muzzles offer various benefits. It is important to choose the right muzzle for your pet to enjoy these benefits. When buying, consider the purpose, design, cost and durability. Our short review of these 10 best dog muzzles should help you make the right choice.